BUFFALO, N.Y. – Sept. 11, 2017 – Northrop Grumman Corporation (NYSE: NOC) is providing advanced radio frequency signal generation technology to the U.S. Navy as part of the Next-Generation Electronic Warfare Environment Generator (NEWEG) program. Under the terms of the contract awarded by the U.S. Navy, Northrop Grumman Amherst Systems will supply its advanced Radio Frequency (RF) Generation Technology for the NEWEG program, which will provide the Navy’s generator with advanced threat laboratory and free space simulation capabilities. “Our RF Generation Technology is a generational leap in technology built on a foundation of strong radio frequency simulation performance from our Advanced Multiple Environment Simulator and Combat Electromagnetic Environment Simulator heritage,” said Joe Downie, site director of Amherst Systems. 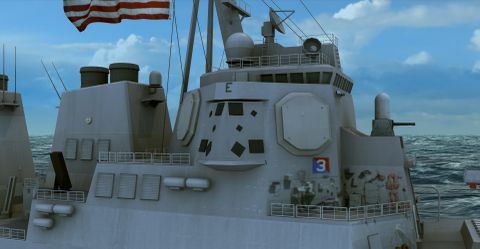 “Combined with an innovative application of mature, state-of-the-art technology and radio frequency packaging, our approach meets the Navy’s needs for modularity, ease of re-configuration, organic life-cycle sustainment and affordability,” added Downie. A core component of RF Generation Technology is Northrop Grumman’s advanced pulse generation (APG) technology, which utilizes the latest direct digital synthesis techniques to generate advanced waveforms. As part of the NEWEG development, Northrop Grumman is developing, leading-edge enhancements to the core APG design, which will provide previously unattainable levels of radio frequency performance. This design builds on the open architecture modularity and flexibility of the APG, packaged in a true plug-and-play architecture, making it directly adaptable for use in laboratory, anechoic chamber and range applications. This affordable solution keeps testing capability ahead of next-generation receiver test requirements. This RF technology draws upon Northrop Grumman’s expertise in C4ISR. 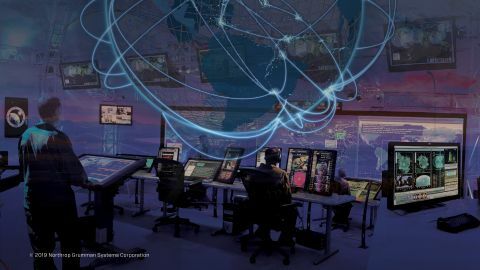 The company is a world leader in developing advanced, secure C4ISR systems that allow users to sense, share, collaborate, and act with greater speed and assurance.